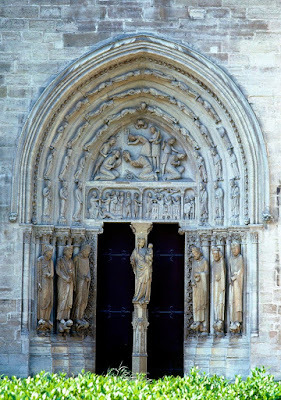 A masterpiece of Gothic Art of the 13th century. And also the place where the French kings were buried. 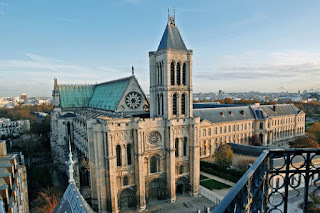 The tourists in Paris usually pay a visit to Notre Dame de Paris which is a beautiful place. 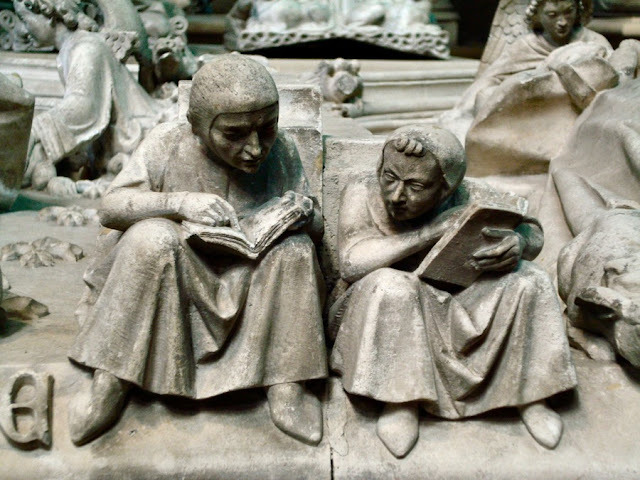 Unfortunately, Notre Dame often overshadows the Basilica of St Denis. This is a shame as this cathedral, though a bit of the beaten path, is a real gothic jewel and the royal necropolis of the kings of France. The bodies of the French kings were destroyed during the French Revolution but more than 60 beautiful tombstones are still standing. 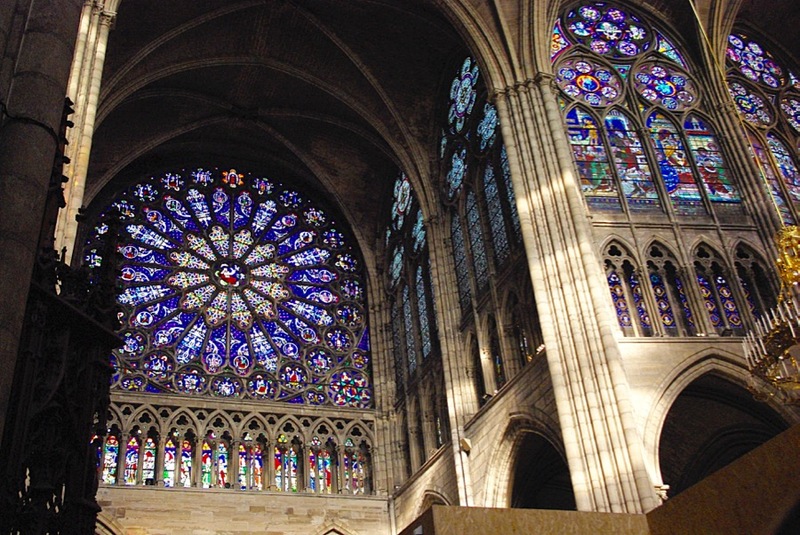 If you like architecture and History, Saint-Denis will not disappoint you. The Basilica is located in the north of Paris, just outside of Paris proper in the suburb of Saint Denis. Map. The first thing that will strike you when you will be close to the Basilica is that one of the two towers is missing. It has been indeed dismantled by architect Viollet-le-Duc in the 19th century. Nowadays, there is a project of restoration of the north tower of the Basilica. 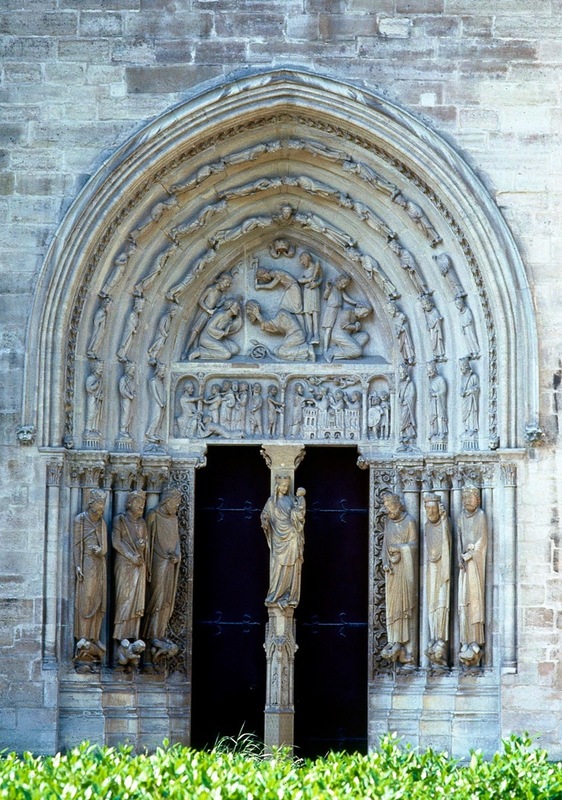 The façade of the Basilica has been cleansed in 2015 so the many details of the Tympanum are more enjoyable for the visitors. Pay also attention to the hand of the clock that looks like a snake. Inside the Basilica, one has a powerful impression of height. The builders of this church, considered one of the first masterpieces of Gothic art, used fasciculate pillars. These pillars are made of several small columns engaged with one another, each of them matching up with the ribs of the arches of the vaulted roof. For this reason the almost 30 meters high roof appears to be way much taller than it really is. Note that you can enter the nave of the Basilica free of charge. The Basilica is a royal necropolis and many tombs of French royalty can be admired. With more than 60 recumbent figures, the place looks like a royal cemetery though the bodies were taken away during the French Revolution. The most impressive tombs are the one of King Dagobert, queen Isabella of Aragon, King Charles V, King Louis XII, King François I and King Henri II. Saint Denis and is easily reachable using metro line number 13. Metro Station Saint-Denis Basilique followed by a one minute walk to the Basilica entrance. - More information about the destruction of the royal tombs. Jean-Baptiste Savoja www.jean-baptiste-savoja.com is a 42 years old Parisian guy who likes to discover countries with a kind of addiction to Italy. When he doesn’t travel, he likes to visit monuments and off the beaten track museums in Paris.